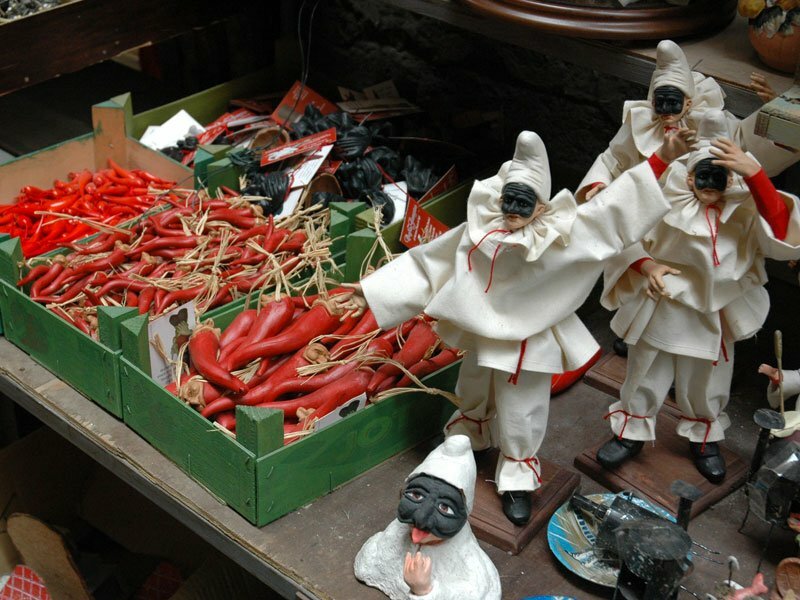 Before enjoying your self-guided walking tour on the Amalfi Coast &/or Sorrento Peninsula you could experience a memorable cultural & archaeological pre-tour extension in Naples. UNESCO has declared the Historic Center of Naples, a World Heritage Site. The Cathedral, the Palazzo Reale, the San Carlo Theatre, the National Archeological Museum are waiting for you. During your stay in Naples you experience a day tour in the Phlegraean Fields and a memorable visit of Herculaneum Ruins: a precious archaeological gems of Southern Italy. The Campi Flegrei known as Phlegraean Fields is a volcanic area just west of Naples and includes the Solfatara, a dormant volcano, which still emits jets of steam with sulphorous fumes which have been used for medicinal purposes since ancient times. The land of fire on seawater …and Greeks and Romans historic holiday spot. Arrival on your own in Naples. By local bus + metro you reach your centrally located 3star Hotel. You could also to take a taxi or to book in advance a private transfer from Naples Airport to the Hotel. Naples may be noisy, overcrowded, and a bit intimidating, but it is also intriguing and appealing. Proud birthplace of pizza which is midway between refined cuisine and traditional working-class meal, Neapolitan pizza became one of the main dishes and a symbol of Neapolitan cuisine since the 18th Century. The city’s history remains a fundamental component of present society and it is revealed in many archaeological finds, monuments and buildings. Today you experience a visit to Herculaneum Ruins. 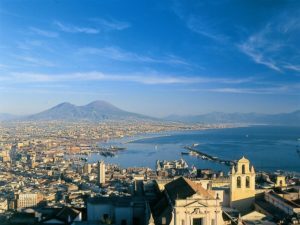 From your hotel you easily reach Naples railway station from where you take a local train to the village of Ercolano. The Herculaneum excavations are unjustly less famous than bigger brother Pompeii as the state of preservation of the buildings are generally superior. It was lost to sight during the devastating eruption of Mt. Vesuvius in AD 79: the same eruption that destroyed Pompeii but Herculaneum was possibly destroyed by a pyroclastic flow. 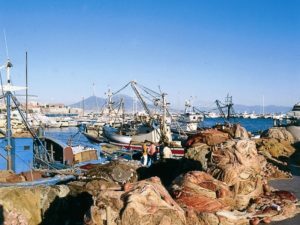 After the visit of Herculaeum you return to Naples by local train and you can continue your exploration of the Naples’ highlights. 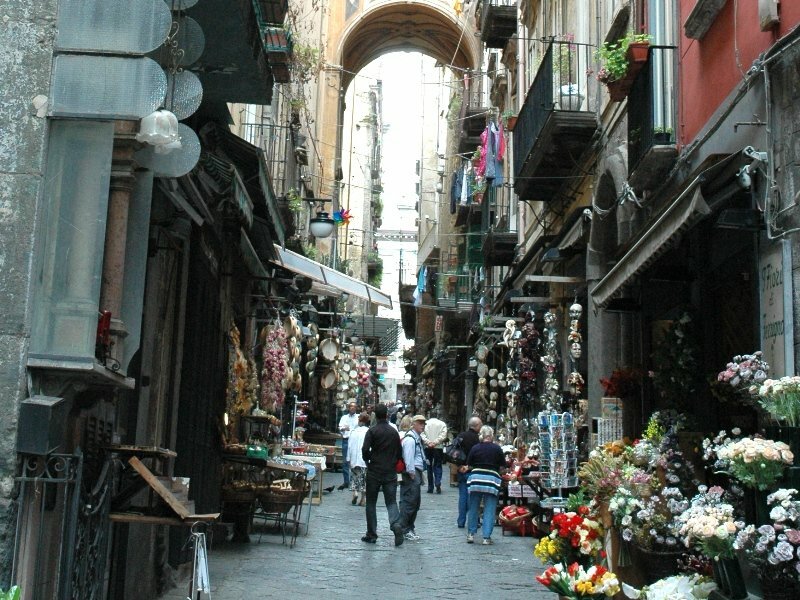 UNESCO has declared the Historic Center of Naples, a World Heritage Site. Each corner makes up the identity of this city and the spirit of its population, a walk through the heart of Naples it is a continuous discovering of old and unique testimonies of past centuries. The Cathedral, the Palazzo Reale, the San Carlo Theatre, the National Archeological Museum and the famous Napoli Sotterranea – a fascinating series of underground tunnels, passageways, stairs, rooms and halls, right in the heart of Naples – are waiting for you. After breakfast you reach the Phlegraean Fields by private transfer. 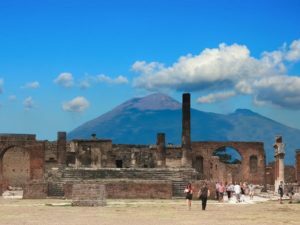 The Phlegraean Fields is a volcanic area just west of Naples and includes the Solfatara, a dormant volcano, which still emits jets of steam with sulphorous fumes which have been used for medicinal purposes since ancient times. This fertile volcanic region is named for ancient “Phlegra”, in Macedonia, where, for Greek and Roman mythology, great battles between the giants and the gods took place. Here both Greeks and Romans have left their impressive heritage dotted among craters and lakes. 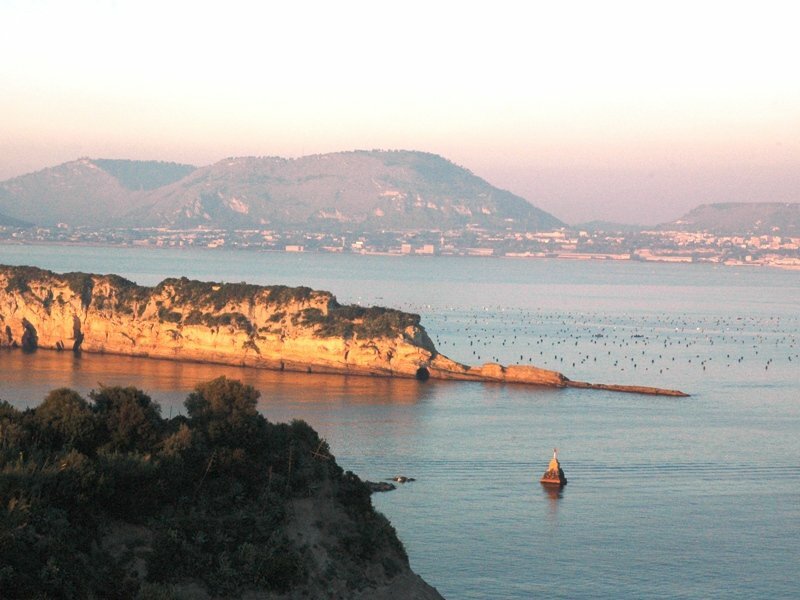 During your day tour in the Campi Flegrei you visit the wonderful ruins of the ancient Greek city of Cumae, which includes the famous Cave of the Cumaean Sibyl – in Greek times the most respected oracle in all the western Mediterranean, located in a interesting and unusual natural setting. The monument, entirely hollowed out of the tufa bank, fascinates the visitor owing to the atmosphere of mystery that pervades it. According to Virgil’s description (Aeneid, VI), it is in this place that the abode of the Sibyl, Apollo’s prophetic priestess, must be located. Then you will be transferred by private transfer to Naples passing by Baia: “Nothing is more sublime than the shores of Baia where it is possible to enjoy the sweetest delights and to fulfil the incomparable gift of health” (Cassiodoro, Variae, VI century a.d.). 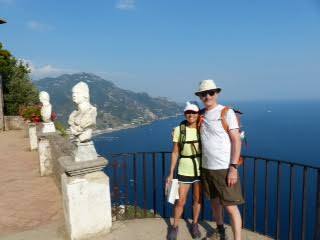 According to your travel plan, after breakfast you could reach the Amalfi Coast or Sorrento enjoying one of our self-guided walking tours on the Amalfi Coast & Sorrento Peninsula. Carmen and I just want to express our thanks for arranging such a fantastic vacation. We thoroughly enjoyed every minute. All daily hikes were amazing! Not to mention the beautiful Italian cuisine. Accommodations were perfect as well. Captured some great photos. Hard to believe all over now. Once again we thank you for making it possible for us to have a memorable vacation. “We wanted to let you know how very much we appreciated your tour. The insight and sharing of your country was a memorable time for us in our lives. Thank you, for your preparation, organization of all the days events, eating venues, and accommodations, everything was top notch. The service and worry free travel was very much appreciated. We wish you and your family many years of good health and future prosperity. You work hard for your clients and is very much appreciated. I feel we became more than a tour guide/client. Please consider making Vancouver Island a destination in your travels and consider our home as a stay. 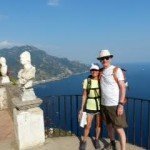 We would love to show you some of our hikes in our area.